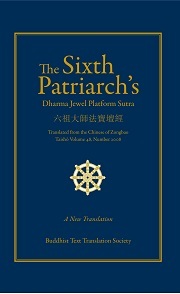 Kuala Lumpur, Malaysia -- The Surangama Sutra: A New Translation in ebook format is now available for free download at www.buddhisttexts.org. For over a thousand years, the Surangama Sutra - the “Sutra of the Indestructible”- has been held in great esteem in the Mahayana Buddhist countries of East and Southeast Asia. In China the Sutra has generally been considered as important, and has been as popular as the Lotus Sutra, the Avatamsaka Sutra, the Mahayana Mahaparinirvana Sutra, the Heart Sutra, and the Diamond Sutra. The appeal of the Surangama Sutra lies in the broad scope of its teachings and in the depth and clarity of its prescriptions for contemplative practice. Its wealth of theoretical and practical instruction in the spiritual life often made it the first major text to be studied by newly ordained monks, particularly in the Chan School. Many enlightened masters and illustrious monastic scholars have written exegetical commentaries on it. To this day, for both clergy and laity in the Chinese Buddhist tradition, the Sura?gama Sutra continues to be the object of devout study, recitation, and memorization. Much of the Sutra unfolds in the form of a dialogue between Buddha Shakyamuni and his cousin Ananda, whose personal story provides a narrative frame for the discourse. The Buddha shows Ananda how to turn the attention of his sense faculties inward in order to achieve a deeply focused state of meditation known as samadhi. The Buddha gives instruction in moral purity, in correct understanding of the mind, in avoidance of dangers that may be encountered when absorbed in meditation, and in the practice of the Surangama mantra, which lies at the heart of the Sutra. - Bill Porter (“Red Pine”), translator of the works of Chinese poets and Buddhist masters, including The Collected Poems of Cold Mountain and The Zen Teachings of Bodhidharma.